Would you like to join in and have a say about the services we provide at the Old Court House surgery? Who to see: Advanced Nurse Practitioner Advice: Please contact reception on (OCH) 020 8643 5139 or (RHL) 020 8643 4621 or go online in the usual way to make an appointment. Who to see: GP Advice: Please contact reception on (OCH) 020 8643 5139 or (RHL) 020 8643 4621 or go online in the usual way to make an appointment. Who to see: Health Care Assistant Advice: The Nurse/Health Care Assistant will consult the GP as necessary. Who to see: Practice Nurse Advice: Please contact reception on (OCH) 020 8643 5139 or (RHL) 020 8643 4621 or go online in the usual way to make an appointment. Who to see: GP, Advanced Nurse Practitioner or Practice Nurse Advice: Please contact reception on (OCH) 020 8643 5139 or (RHL) 020 8643 4621 or go online in the usual way to make an appointment. Who to see: Practice Nurse or Advanced Nurse Practitioner Advice: You will be invited when your test is due. Once you are invited, please make an make an appointment (ideally day 14 from first day of your period), by contacting Reception on (OCH) 020 8643 5139 or (RHL) 020 8643 4621.
Who to see: Practice Nurse or GP Advice: Annual clinic appointment will be sent to CHD patients. Please ask for an appointment if worried. Who to see: Advanced Nurse Practitioner or Practice Nurse Advice: Please contact reception on (OCH) 020 8643 5139 or (RHL) 020 8643 4621 or go online in the usual way to make an appointment. Who to see: Practice Nurse or Advanced Nurse Practitioner Advice: Contraception and family planning appointments are available at various times every day. Who to see: Practice Nurse or Advanced Nurse Practitioner Advice: Please contact reception on (OCH) 020 8643 5139 or (RHL) 020 8643 4621 or go online in the usual way to make an appointment. Who to see: Dentist Advice: Please book an appointment with your dentist, or to find an NHS dentist in your area, visit NHS Choices. Who to see: Practice Nurse or Advanced Nurse Practitioner Advice: Routine annual clinic appointments will be sent to all our patients with diabetes. Patients are encouraged to book an appointment with our diabetes specialist nurse or their GP if they have any concerns at any other time and not to wait for their annual review. Who to see: Practice Nurse Advice: If you think you may need ear irrigation ('syringing' )please oil your ears for a minimum of 10 days prior to syringing. For an appointment call Reception on (OCH) 020 8643 5139 or (RHL) 020 8643 4621. Also please check the following information NHS Earwax Information. Who to see: Advanced Nurse Practitioner, Practice Nurse or GP Advice: Make an urgent appointment with the Nurse or Doctor. Please explain to the receptionist that the appointment is urgent and they will do their best to fit you in. Who to see: Receptionist Advice: Please contact reception on (OCH) 020 8643 5139 or (RHL) 020 8643 4621 or go online in the usual way to make an appointment. Who to see: Practice Nurse Advice: If you require general advice an appointment may not be necessary. 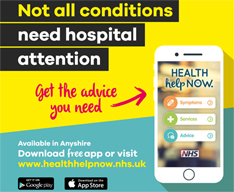 Please ring and book a telephone appointment with the Practice Nurse or the GP. Who to see: Advanced Nurse Practitioner or GP Advice: Please contact reception on (OCH) 020 8643 5139 or (RHL) 020 8643 4621 or go online in the usual way to make an appointment. Who to see: Receptionist Advice: Holiday Cancellation forms are not covered by the NHS, there will be a charge for this service. Please read the form carefully and fill in and sign any parts that you need to complete before you bring the form to the surgery. We ask that you allow up to 21 days for the process to be completed, you will be contacted by phone when your form is ready for collection. .
Who to see: Nurse Practitioner Advice: Please contact reception on (OCH) 020 8643 5139 or (RHL) 020 8643 4621 or go online in the usual way to make an appointment. Who to see: Advanced Nurse Practitioner, Practice Nurse or GP Advice: Please contact reception on (OCH) 020 8643 5139 or (RHL) 020 8643 4621 or go online in the usual way to make an appointment. Who to see: Dentist Advice: Please contact reception on (OCH) 020 8643 5139 or (RHL) 020 8643 4621 or go online in the usual way to make an appointment. Who to see: Physician Associate or Health Visitor Advice: Please contact reception on (OCH) 020 8643 5139 or (RHL) 020 8643 4621 or go online in the usual way to make an appointment. Who to see: Receptionist Advice: Passport forms are not covered under the NHS. You will be charged for these services. Please discuss your requirements with our reception team. Examples are Passport forms, insurance reports, HGV medicals, holiday cancellation forms. Who to see: Health Care Assistant Advice: Please contact reception on (OCH) 020 8643 5139 or (RHL) 020 8643 4621 or go online in the usual way to make an appointment. 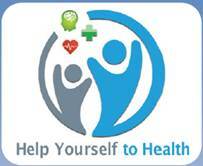 Who to see: Health Care Assistant Advice: Please ask our reception team on (OCH) 020 8643 5139 or (RHL) 020 8643 4621. If you would like help sooner please contact NHS Quit Line on 0800 022 4332.
Who to see: Advanced Nurse Practitioner or Practice Nurse Advice: Please contact reception on (OCH 020 8643 5139 or (RHL) 020 8643 4621 or go online in the usual way to make an appointment. Take control and manage your symptoms.